Earlier this year, a survey found that 58% of Facebook users don’t care about their privacy online, but it hasn’t stopped Facebook addressing this issue head on. The social network has introduced a dinosaur advisor across it’s worldwide interface to bring users out of the ‘privacy stone-age’. 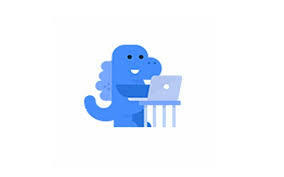 Nicknamed the ‘Zuckersaurus’ after it’s founder, the animated dinosaur will appear when users access Facebook’s privacy settings. It has already been trialed for almost 6 months and will explain how to control personal information and how to change who sees their posts, photos and details. According to Facebook, three quarters of those who seen the dinosaur went on to complete the privacy settings form. At the present time, the ‘Zuckersaurus’ is only available on desktop and laptop computers. A smartphone version is still being worked on but is expected to launch shortly. Although there seems to be some disregard for online privacy, the LoveMyVouchers.co.uk survey from January this year also found that 68 per cent of those questioned admitted that they found Facebook’s privacy settings difficult to understand. Just over half (51 per cent) had little awareness of who could see posts they made and whether they were public or private messages. Tags: Commentator, Data, Expert, Facebook, Law, Lawyer, Media, Privacy, Social, Solicitor, Zuckersaurus. Bookmark the permalink. Previous post ← Unlocking the holiday pay conundrum – what is owed?